As most of you know, the iOS 6.x jailbreak got official this week. The evad3rs launched their website on Wednesday, unveiling evasi0n, the software that’s going to break our devices free from Apple’s chains. 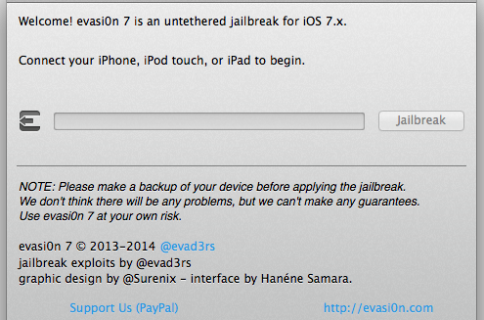 Once all versions are complete, and have been thoroughly tested, evasi0n should be nearly ready for public release. All signs point to Sunday, but pod2g said ‘nothing is certain.’ It could be sooner or later than that. As we’ve said before, the evasi0n jailbreak will work on all iOS devices running iOS 6.0 or later, with the exception of the Apple TV 3. If you have any more questions, check out our post on jailbreak preparation.